Seed companies are a crucial partner in efforts to raise smallholder farmer productivity. That is why the Access to Seeds Index shines a light on companies that are taking the lead in reaching smallholder farmers. In late 2017, the European Union and the Bill & Melinda Gates Foundation pledged to invest more than $600 million over the next three years in developing new technologies, including quality seeds of improved varieties, for smallholder farmers in Africa and Asia. This sum is indicative of the priority being given to smallholder farmer productivity and its importance for achieving zero hunger, one of the 17 SDGs. Delivering these technologies into the hands of smallholder farmers requires partnering with the private sector. Seed companies play a central role in providing access to quality seeds that can help smallholders to increase their yields and meet growing food demands while adapting their farming practices to increasingly challenging conditions brought about by climate change. That is why the Access to Seeds Index assesses seed companies on their efforts to make quality seeds accessible to smallholder farmers and shines a light on leadership and good practice. By providing insights into companies’ performance, presence and portfolio, the index aims to contribute to building partnerships with the seed industry. It also establishes a benchmark for seed companies wanting to do more and informs policymakers working to create the necessary enabling environment. 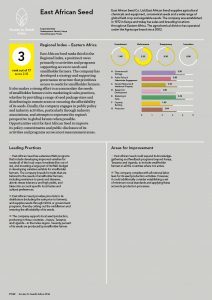 The first Access to Seeds Index, published in 2016, assessed the activities of global seed companies in four regions and regional seed companies in Eastern Africa. Based on the findings of that index, which showed for the first time the crucial role regional seed companies play in delivering industry products to the farm gate, the second index will more than double the number of companies assessed – from 25 to 60 – as regional seed companies in Asia and Western Africa are now also part of the scope. The index methodology is based on input from farmers, companies and policymakers, and was reviewed by dozens of experts from each region. Data collection will take place in 2018 and publication is scheduled for the first half of 2019. What is the Scope of the Index? 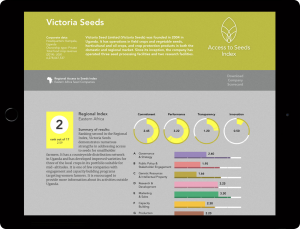 The Access to Seeds Index assesses the efforts of the world’s leading seed companies to improve access to field crop and vegetable seeds for smallholder farmers in four regions. To ensure a fair and meaningful analysis, the research scope defines which countries, companies and crops are taken into account. Company scores are scaled for size, portfolio and presence. The index measures seed companies’ efforts in countries in four regions with (1) a significant smallholder farmer presence (2) a food security challenge and (3) agricultural potential. Global companies are assessed on their activities in all four regions. Regional indexes focus on leading companies in a specific region. The index focuses on both field crops and vegetables as they play a key role in supporting nutrition. The crops most frequently grown in the four regions – according to FAOSTAT – were selected. These are called ‘global crops’. The index also evaluates company activities in ‘local crops’, sometimes referred to as neglected and underutilized crops. The Access to Seeds Index is a relative ranking, comparing companies with each other rather than against an absolute, ideal state. As such, companies set and raise the bar. The index uses a weighted scorecard approach to measure and compare company performance. A total of 59 indicators are grouped in seven measurement areas. Each measurement area has four categories of indicators: Commitment, Performance, Transparency and Leadership. A company’s overall score is the weighted sum of the scores in each measurement area. Read more for the complete list of indicators with extended explanations. The 2016 Index identified Syngenta’s Good Growth Plan as a leading example of a corporate commitment to improve access to seeds for smallholder farmers. The plan includes measurable targets up to 2020 and the company reports regularly on progress made in its external communications. 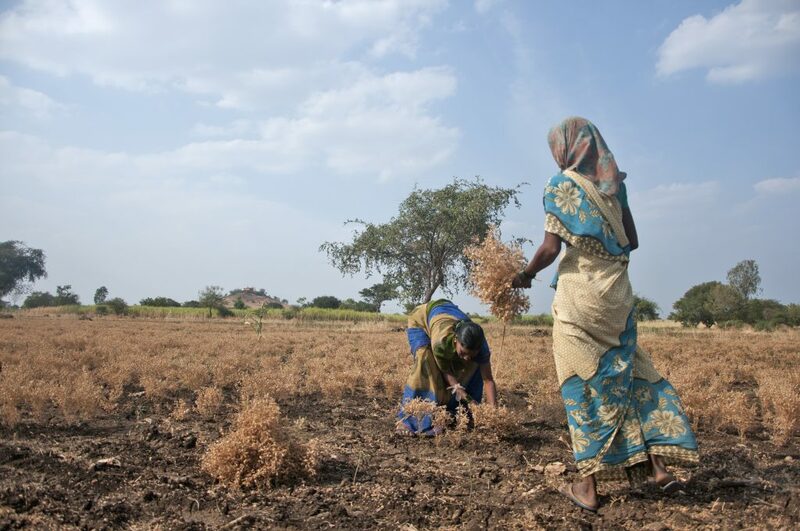 A notable finding was Bayer’s commitment to train teenagers in India, with the aim of encouraging them to choose a future in agriculture (photo). 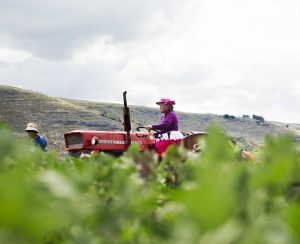 Carmen Valle in her quinoa field in the Viscaya Valley, Peru. As part of a collaboration with the German government, KWS supports quinoa work of the public gene bank in Peru through trainings. In Ethiopia, the company supports local gene bank activities in barley and wheat. allows for further breeding by others and on-farm seed saving. 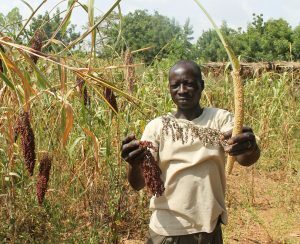 A farmer near Ouagadougou, Burkina Faso shows the sorghum and millet growing on his land. 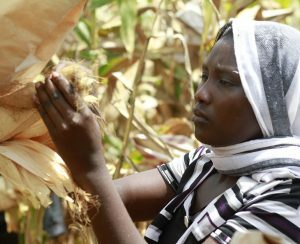 Dryland cereals like pearl millet and sorghum are drough tolerant and often the only crops available to smallholders in arid regions. Dupont Pioneer has provided transgenic DNA constructs to the African Biofortified Sorghum (ABS) initiative, which is expected to result in publicly available GM sorghum lines. The 2016 Index also noted that the company in engaged in talks with ICRISAT to provide free access to its millet germplasm. from plant pests and diseases. 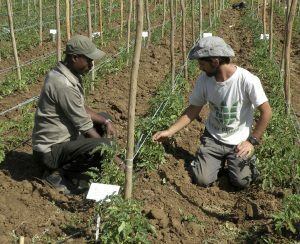 Tomato seedlings are planted for variety testing in Butajira, Ethiopia. Fair Planet tests existing varieties that are made available by indexed seed companies. The trials are conducted using agronomic practices that are accessible and affordable to local smallholder farmers. In various regions, the selected varieties yielded more than five times the average national yield. A farmer checks if the maize is ready for harvesting at a NASECO seed production site in Nalweyo, Uganda. Smallholder farmers are not only end-users of seeds but can also be partners of seed companies in their seed value chain, for instance in seed production. 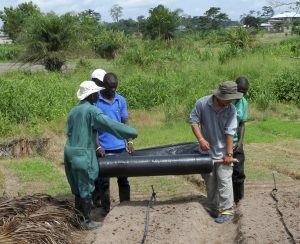 NASECO reports that more than 90% of its seed production is carried out by smallholder farmers and farmer cooperatives. trusted distribution channels and demonstration plots. David Oboth and Dickson Ogot look for a good place to set up the tuk-tuk mobile seed shop in Gulu, Uganda. 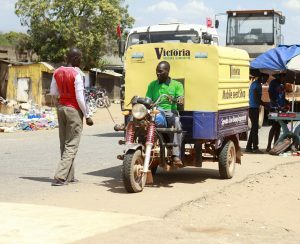 Victoria Seeds improves accessibility by using mobile seed shops to reach markets in remote villages. East-West Seed trains Malian farmers in advanced agricultural practices such as irrigation and mulching. Extension services and agronomic training can help farmer to realize the full potential of quality seeds of improved varieties. Companies selected for inclusion in the Access to Seeds Index are regarded as leading in the industry, with the potential for or a track record of promoting smallholder farmer productivity. The selection criteria for global companies are based on their global presence and revenues. The companies included in the regional indexes are the result of landscaping studies validated by regional expert committees. The index compiles scorecards for each company, highlighting their presence and portfolio, leading practices and notable findings. They also present comparative strengths in relation to the other companies assessed. The scorecards are compiled using data provided by companies in the form of a questionnaire. Analysts from the Access to Seeds Index are available to provide guidance and support during this process. Companies can submit information under a non-disclosure agreement: this information can be used for scoring but will not be published. Prior to publication, companies receive their scorecards for fact-checking purposes only. Company scorecards are published on the Access to Seeds Index website. This has grown into a unique source of information on how seed companies are contributing to smallholder farmer productivity. The website has received 20,000 unique visitors every year since the first index was published in 2016. 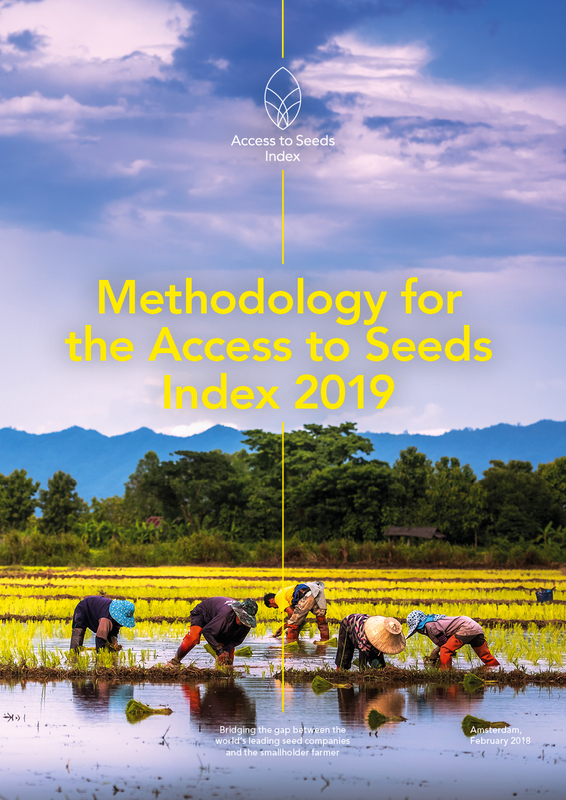 The questionnaire for the 2019 Access to Seeds Index consists of five sections. The data provided is used to compile company scorecards as well as to identify and analyze industry-level activities in index regions. The first section focuses on general company information. This is where companies can introduce themselves. It includes questions on the number of employees, financials and the number of smallholder farmers reached. This data is used for scaling purposes when comparing companies of different sizes and to introduce the company scorecard. The second section elaborates on the company portfolio. Companies are requested to supply details of the crops and number of varieties it makes available to smallholder farmers in every country in which it operates. At the regional level, companies are asked to provide additional information such as seed types, package sizes and the age of the newest variety in the market. This data is used to fill the company scorecard and compile industry-level insights. This third section elaborates on the company presence. Companies are asked to detail the countries in which they have activities such as seed production, variety testing, breeding facilities, processing locations and extension services. Seed companies are considered key partners in addressing specific sustainability and development challenges, such as climate change resilience, nutrition and agricultural biodiversity. In the fourth section, companies are requested to indicate whether they have implemented approaches or activities addressing these challenges. Companies are also asked to indicate whether they are already involved in partnerships with the public sector. The fifth section is the core of the questionnaire and includes questions that are related to all indicators.